Mesothelioma is an aggressive and deadly form of cancer that attacks the thin lining of cells inside your chest and abdomen, and in the spaces around your heart. This layer of mesothelial cells, known as “mesothelium,” also surrounds the majority of your internal organs. The mesothelium protects you internally by creating a special lubricating fluid that allows organs to move against each other. For example, this fluid makes it easier for your lungs to expand and contract inside the chest when you breathe. Malignant mesothelioma tumors are most often found in the outer lining of the lungs and internal chest wall (the pleura), but can also appear in the linings of the abdominal cavity (peritoneum), heart (pericardium), or testis (tunica vaginalis). Asbestos exposure is the only known cause of mesothelioma in the United States. In fact, 70 to 80% of all reported mesothelioma cases are directly linked with a history of asbestos exposure in the workplace. According to the World Health Organization, every year over 107,000 people around the world die due to mesothelioma and asbestos-related diseases. Many of these people have worked in careers such as mining, where they inhaled or ingested asbestos fibers, or were exposed to airborne asbestos dust and fibers in other ways. Many others have been exposed through their service to our country in the military-especially the Navy. Asbestos fibers are thin, natural minerals that are durable, resistant to heat, fire, acids and electrical friction. They are virtually indestructible. For this reason, asbestos became the insulation material of choice by the late 19th century. Large-scale asbestos mining began when manufacturers found that asbestos properties, combined with other materials, could be used in thousands of industrial, maritime, automotive, scientific and building products. Also, asbestos fibers are long, thin and flexible, so that they can be woven into cloth and other textile products. The use of asbestos continued to grow throughout the 20th century, long after medical research gradually revealed that breathing in minuscule asbestos fibers starts a chain of physical and metabolic events that ultimately leads to serious health problems, including mesothelioma, lung cancer, or an incurable breathing disorder called asbestosis. Today, asbestos is classified as a known human carcinogen, and by far the major cause of mesothelioma. Asbestos mineral fiber established a long history of heavy usage within the manufacturing and construction industries due, in large part, to profound strength, insulating features, affordability, and fire resistant properties. 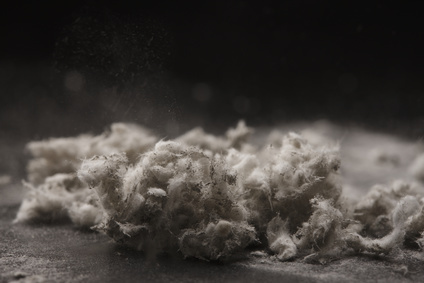 Asbestos may also be found in automobile and elevator brake shoes, elevator equipment panels, ductwork, electrical panel partitions, electrical cloth, cooling towers, and chalkboards. Occupational Exposure: More than 75 different types of jobs in America have been known to expose workers to asbestos. Occupations in the construction industry have been hit the hardest. Plumbers, pipefitters and electricians have been the most vulnerable to mesothelioma and other asbestos-related diseases. The occurrence of mesothelioma, in both the shipbuilding and the electrical power industries, has also been abnormally high. If you are experiencing what you believe to be mesothelioma symptoms you should consult a physician immediately. Inquire about medical tests for asbestos related diseases and a pulmonary function test. Imaging tests, biopsy tests, and blood tests may be part of the process to determine whether you have mesothelioma. Consequently, the process for your doctor to determine a mesothelioma diagnosis is based on your past exposure to asbestos (where-when-how), your symptoms, a physical examination, and test results.